Augustine K. Jackson, 90 of Manchester passed away on Wednesday, November 28, 2018 at AristaCare at Manchester. Augustine was born and raised in Ramsau, Germany and was married in 1947 to Leslie C. Jackson in Germany. They moved to North Carolina in 1948 and then to New Jersey in 1959. Augustine worked as a seamstress for 30 years in Linden, NJ and as a book keeper for Siemens in Iselin, NJ for over 15 years. She belonged to a retirement club in Linden where she was an active member and was also a member of the Cosmopolitan Club in Linden. Augustine was an avid knitter, enjoyed playing bingo and thoroughly loved to spend time with her family. Augustine was predeceased by her husband of 30 years Leslie C. Jackson in 1977 and three siblings who lived in Germany. She is survived by her two loving daughters and their husbands Leslie and Mark MacDonald of Toms River and Pamela and Walter Kuzma of Avenel, NJ; a beloved brother Karl Hans Sachenbacher; three beloved sisters Elfriede, Annalise and Evie all of Germany. Augustine is also survived by her cherished grandchildren Stephen Bielawski, Jason (Christie) Hinterstein, Lesley (Stephen) Miedowicz and Christopher Kuzma. Family and friends are invited to attend a visitation on Friday, November 30, 2018 from 12 noon to 2 pm at Orender Family Home for Funerals 2643 Old Bridge Road Manasquan, NJ 08736. In lieu of flowers memorial donations may be made to a charity of your choice. To send condolences to the family please visit www.orenderfamilyhome.com. To send flowers to the family of Augustine K Jackson (Sachenbacher), please visit our Heartfelt Sympathies Store. We encourage you to share any memorable photos or stories about Augustine. All tributes placed on and purchased through this memorial website will remain on in perpetuity for future generations. Augustine’s family: I'm so sorry for your loss. I went through a similar situation and I was very helped by the hope that I found in the Bible in John 5:28, which says, "Do not amazed at this, for the hour is coming in which all those in the memorial tombs will hear his voice and come out". You can visit jw.org with more information on this hope. I'm so sorry that you lost her. Augustine was always kind to me as a child and my memories of her are fond ones. To my dear cousins, Taunte was such a beautiful person inside and out and I & all of us will miss her dearly. 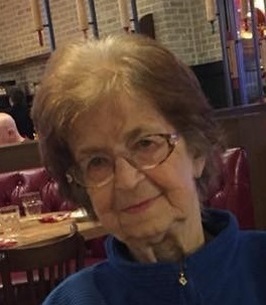 There are so many wonderful memories that will be cherished forever especially getting to meet her family in Germany who opened their homes when I studied abroad then made me promise to bring Mom,Dad&Joe back for a Christmas like no other.She is now in heaven with all that have left us.Prayers and love too you all. We are so sad with the news of the passing of your Mom. She was always so kind. We will always remember her great smile and how much she and Nanny loved to go to Bingo together. Rest In Peace Augustine.